Gary LaPierre, broadcaster at WBZ NewsRadio. Gary LaPierre hadn’t been at WBZ-AM for long in 1964 when he got his first big break as a reporter. He was sent out in the middle of the night to cover the arrival of four musicians who were about his age — John, Paul, George, and Ringo. Mr. LaPierre, who as WBZ’s morning anchorman was often the first to tell Greater Boston radio listeners about everything from presidential elections to when they could stay home from school on stormy days, died Monday of complications from treatment for leukemia. He was 76 and in retirement had divided his time between Ipswich and St. Augustine, Fla.
His voice and unfailing news judgment, meanwhile, were the envy of all who worked in radio, including Mr. LaPierre’s own colleagues. “I just wanted to capture a fraction of his amazing talent,” said Carl Stevens, a WBZ reporter. Mr. LaPierre was also “so encouraging to so many people who worked at WBZ,” said Stevens, who recalled listening to his future colleague in the early 1980s, when Stevens was starting out at a New Hampshire radio station. Mr. LaPierre once recalled that as a reporter and news anchor, he had interviewed presidents from Lyndon B. Johnson to George W. Bush. “My introduction to politics was the Democratic National Convention of 1968. I was in Chicago,” he once said of the convention that made history because of the riots in the city’s streets. In Boston, the decades of stories he covered included the trial of Albert DeSalvo, who confessed to the Boston Strangler murders. To listeners, Mr. LaPierre explained complex events with the concision his medium demanded. “A newspaper story you can reread if you don’t understand it,” he said in 2006, when he announced he was retiring from WBZ after more than 40 years at the station. Born in Greenfield in 1942, Gary LaPierre was the middle child among five siblings whose parents were musicians and music teachers. Francis LaPierre played guitar, banjo, and mandolin, and Esther Davenport was a piano instructor. Mr. LaPierre grew up in Shelburne Falls and, as a youth, played drums in a band with his parents. Drumming would remain a source of income into his early radio days, and a passion throughout his life. After high school, he studied broadcasting at Grahm Junior College in Boston and started out at WBZ in the mailroom. 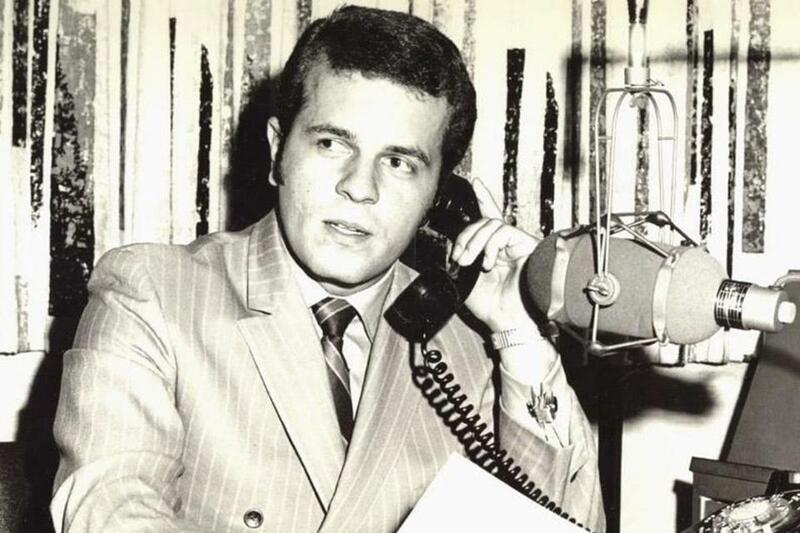 He left for some seasoning at WHAV-AM in Haverhill and WTSN-AM in Dover, N.H., before returning to WBZ in 1964. In a Globe interview, he recalled that to pay his way through college, and for some time after, he played drums in various ensembles, including in the Combat Zone. “He made more money playing a gig than he did in radio in the early years — $20 a week in the radio and $25 a night playing drums,” said his son Michael of Beverly. In 1962, Mr. LaPierre married Margaret O’Brien, who is known as Peggy, and whom he met through mutual friends. At WBZ, he was on TV for a time, along with his radio duties, but it was his collegiality that colleagues remembered most. Many listeners, of course, remembered him best as the radio voice bringing joyous news that they could stay home from school on snowy days. In addition to his wife, Peg, his mother, Esther, and his son, Michael, Mr. LaPierre leaves another son, Dean of Andover; two sisters, Carol Brewer of Vero Beach, Fla., and Sandra Hobart of St. Louis; two brothers, Richard of Shelburne Falls and Robert of Greenfield; four grandchildren; and a great-grandchild. A funeral Mass will be said 10:30 a.m. Friday in St. Agnes Church in Reading, where Mr. LaPierre and his wife were married. In 2010, Mr. LaPierre was inducted into the Massachusetts Broadcasters Hall of Fame. “He has that unique quality that people not only hear what he’s saying and absorb it, they believe what he’s saying because he’s Gary,” Arthur J. Singer, who at the time was the Hall of Fame’s president, said then. After retiring, Mr. LaPierre did occasional work for WBZ, and even briefly reprised his morning anchor role at the end of 2010 when his successor, Ed Walsh, retired. That was fun, Mr. LaPierre later told the Globe, mostly because it was only for a week. Bryan Marquard can be reached at bmarquard@globe.com. Follow him on Twitter @BryanMarquard.